I love veggie burgers but the hockey puck ones in the freezer aisle do nothing for me. I had been shopping around for a new recipe to try when I came across this one from Wldrnessa. 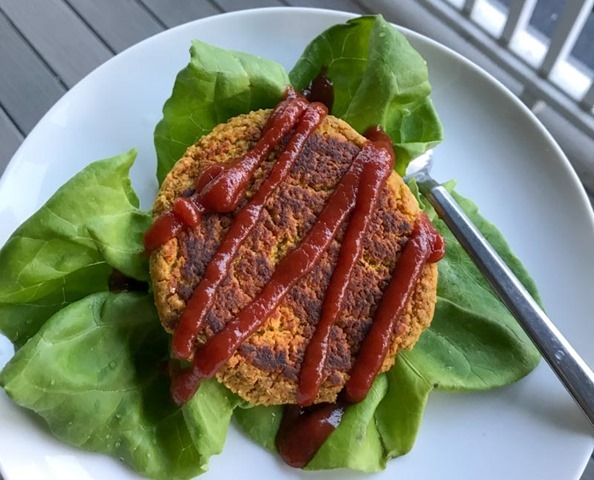 I love it – it’s simple, delicious, easy to make, and totally scratched that veggie burger itch I had. 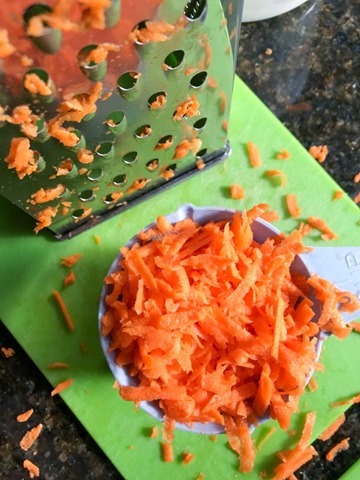 The first step is to shred the carrots. 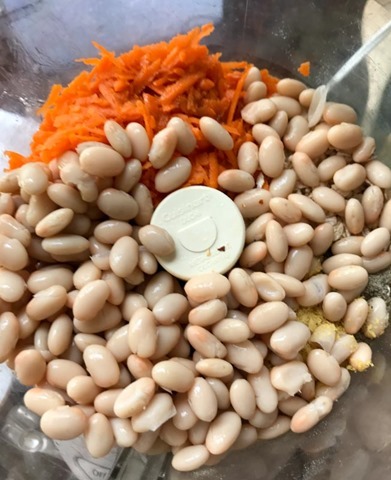 You can use pre-shredded but I think this recipe is so much fresher and brighter with freshly shredded carrots. 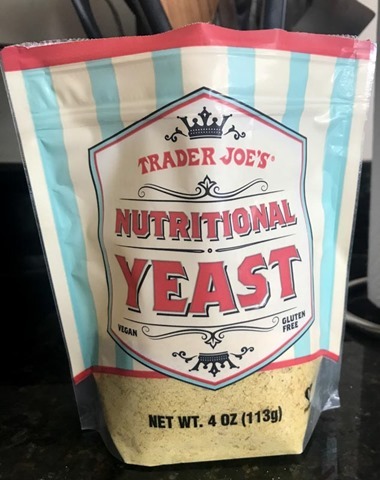 You can find nutritional yeast in a lot of stores nowadays, but I’m partial to the Trader Joe’s brand at the moment. If you aren’t familiar, nutritional yeast is a deactivated yeast that kiiiind of looks like fish food flakes. However, the taste is awesome; it’s savory, nutty, and cheesy. 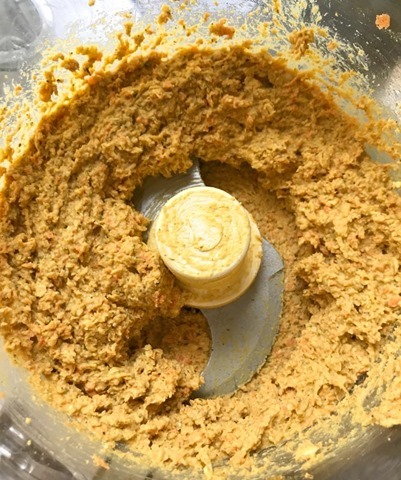 The cheese-like taste is why nutritional yeast is so popular in vegan recipes. It’s called “nutritional” for good reason: it’s full of B vitamins and folic acid. 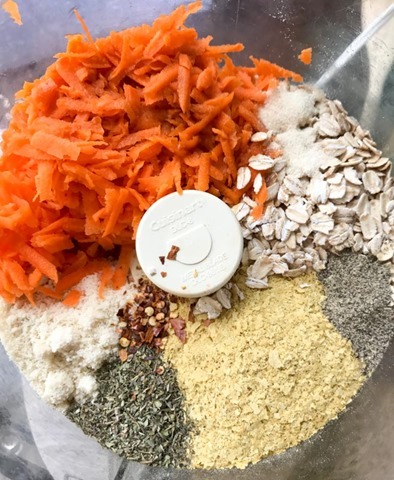 Toss all of the ingredients in a food processor and let it rip! Put the mixture in the fridge to firm up for a minimum of 1 hour, or a maximum of overnight if you want to. When you’re ready to make the burgers, pre-heat a skillet over medium heat. Form the burger with your hands – it’s a little messy but it’s the easiest way to get the right shape. Pro tip: wet your hands with cold water before handling each patty, it’ll prevent the dough from sticking to your hands. Spray the skillet with non-stick cooking spray and place the burgers in the pan. Cook on each side for 3-5 minutes, until browned or your preferred color/done-ness. 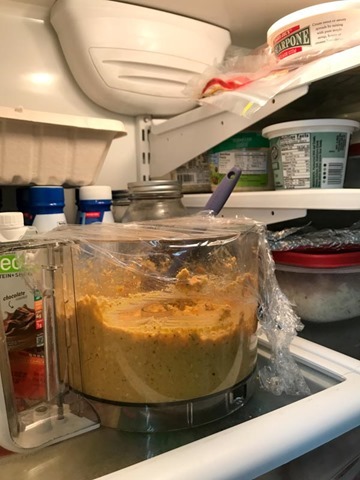 I recommend serving right away but the leftover cooked burgers can be kept in the fridge in an airtight container for 2-3 days (not any longer, they’ll dry out too much). These burgers are full of flavor and I honestly didn’t miss the meat at all. The nutritional yeast is the real star, it gives such good flavor and a savory kick to these burgers. Top with any/all of your favorite burger fixins’ and enjoy! I went simple and bunless with boston lettuce and ketchup here but you could do buns, cheese, avocado, hot peppers, caramelized onions, mustard, pickles, BBQ sauce, a fried egg – whatever strikes your fancy!